Colombo: A Sri Lankan court on Friday convicted and sentenced a former army chief to three years in prison for making a false statement the country’s defence secretary ordered surrendering separatist Tamil fighters killed in the last days of a 25-year civil war. General Sarath Fonseka, who lost to his former commander-in-chief President Mahinda Rajapaksa in the 2010 presidential election, is already serving a 30-month term after a court-martial convicted him of misappropriation in September. “Jailing of the main opposition presidential candidate for an answer he gave to a question of a journalist is twisted and cannot be accepted in a democratic country. 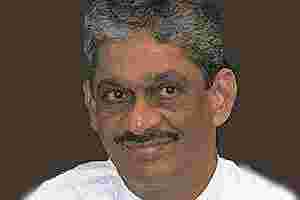 But it could happen, only in the country of a dictator," Fonseka told the court. Fonseka,60, is considered a national hero by many Sri Lankans for his role in winning the war. A suicide bomber nearly killed him in 2006, but three months after that, he was back at his desk and launched the final campaign to wipe out the Tigers. The career infantry officer was prosecuted for an interview he gave to the Sunday Leader newspaper on 13 Dec, 2009, in which he said he was informed that defence secretary Gotabaya Rajapaksa ordered troops to kill surrendering Tiger leaders. The article was explosive, coming as it did in the middle of a nasty and personal presidential race, because it sketched out an incident that if true, could be construed as a war crime. The defence secretary, who is the president’s younger brother and a former infantry officer who fought alongside Fonseka, rejects the allegations as false. Fonseka later said he had been misquoted by the reporter and recanted. “I strongly believe the army I commanded did not commit any war crimes in the victory. They fought the war safeguarding human rights, following international law. Under that guideline they have safeguarded about 12,000 terrorists who surrendered," Fonseka told the court during the sentencing. Fonseka and the Rajapaksas were seen as inseparable allies in wartime, but they quickly fell out after the victory in May 2009, with the general complaining he was being sidelined and the president growing concerned he would launch a coup. The article over which Fonseka was prosecuted was about the “White Flag" case, which was documented in a UN-backed report that says there is “credible evidence" both sides committed war crimes in the final months of the war in 2009. The government is under Western pressure to address war crimes allegations. This weekend, the Sri Lankan body probing the end of the war, the Lessons Learned and Reconciliation Commission, is due to present its findings to the president. He was arrested barely two weeks after the presidential election in early 2010 on a host of charges, which the general says were politically motivated. He nonetheless won a parliamentary seat in April 2010 but the court-martial conviction cost him his seat, and he was stripped of his rank.